← Beautiful Handmade Australian Boulder Opal Pendant! Beautiful Handcrafted Ammonite Gemstone Ring! One of the nicest rings in our collection. 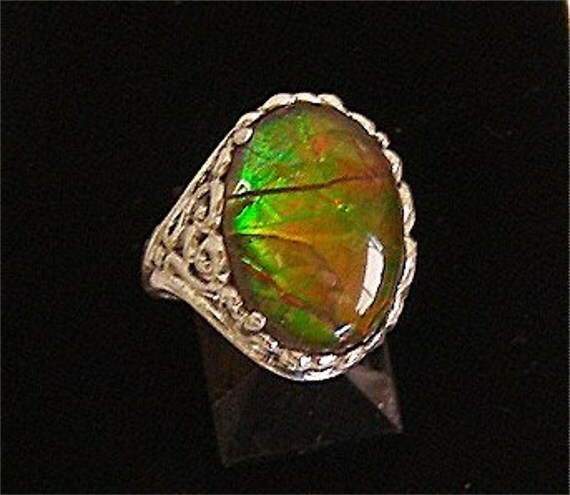 Beautiful ammonite gemstone with vibrant green, amber, yellow, orange colors enhanced by your natural surroundings. This is a beautiful piece of jewelry and one that will bring lots of compliments. This entry was posted in Uncategorized and tagged ammonite, ammonite ring, China, Christina Aguilera, Jewellery, jewelry, Pendant, Robert Redmond, Santa Cruz, Small business, veronique of santa cruz, vibrant green ammonite. Bookmark the permalink.